A Weekend Of Excitement Awaits! 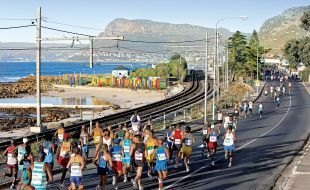 The world's most beautiful marathon takes place on Saturday 20 April 2019. As the official accommodation partner, Tsogo Sun has a variety of hotels conveniently located in the heart of Cape Town. And with a carbo-loading dinner available on the eve of the race and a power breakfast served early on race day, we'll make sure you get your day started in a winning way. Whether you’re participating, or coming along as a spectator, we’ve put together some great accommodation offers that make it easy to enjoy the atmosphere for the whole weekend. Tsogo Sun is proud to be the official hotel partner to the Old Mutual Two Oceans Marathon.